Explore the history and practice of Voodoo in New Orleans. 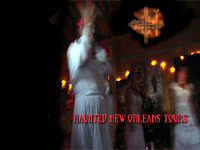 New Orleans Voodoo Hoodoo Stories and information. The word Voodoo is used to describe the Afro-creole tradition of New Orleans, Vodou is used to describe the Haitian Vodou Tradition, while Vudon and Vodun and Vodoun are used to describe the deities honoured in the Brazilian Jeje (Ewe) nation of Candomble as well as West African Vodoun, and in the African diaspora. Voodoo or Hoodoo also refer to African-American folk spirituality of the southeastern USA, with roots in West African traditional or "folk" spirituality. When the word Vodou/Vodoun is capitalized, it denotes the Religion proper. When the word is used in small caps, it denotes folk spirituality, or the actual deities honored in each respective tradition. Congo Square in Armstrong Park, at the Corner of Rampart and St. Peter Streets This paved plaza was the only place where slaves could openly gather for fellowship and worship during antebellum days. This is the site of the African (Calinda) dances that were part of the Voodoo tradition. Congo Square is a National Historic Landmark. 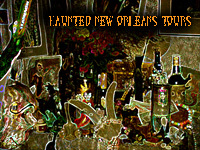 Voodoo New Orleans, Isand of Salvation Botanica, 836 Piety Street, 504-948-9961 New Orleans, Louisiana. Manbo Sallie Ann Glassman was born in Maine in 1954. She is of Jewish-Ukrainian heritage. Ms. Glassman has been practicing Vodou in New Orleans since 1977. She is the owner of the Island of Salvation Botanica, a store and gallery specializing in Vodoun religious supply, medicinal and magical herbs, and Haitian and local artworks. She traveled to Haiti in November, 1995 to undergo the week-long Couche initiation. During the initiation, Ms. Glassman was ordained as Ounsi, Kanzo and Manbo Asogwe, or Priestess of Vodou, and is one of the few white Americans to have been ordained via the traditional Haitian initiation. 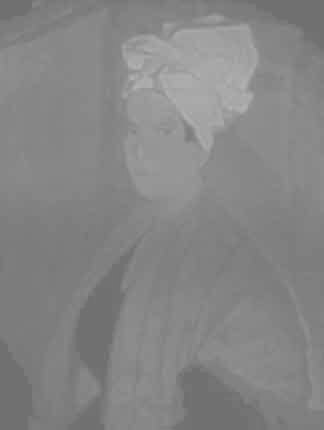 Glassman is the founder of La Source Ancienne Ounfo in New Orleans, where she presides over weekly Vodoun ceremonies. Counted as one of the twenty most active Voodoo practitioners in the United States, Priestess Manbo Sallie Ann Glassman is known for promoting positive thoughts through her Voodoo faith. She is also a historian on Voodoo tradition and its roots in Hatian Vodun. Like many native religions, Vodou (often referred to as "Voodoo") has been scorned and ridiculed in mainstream Judeo-Christian communities. "The word 'Vodou' sends chills down the spines of most people, and conjures up age-old terrors of sorcery, black magic, and bogeymen lurking under the bed," writes author Sallie Ann Glassman (New Orleans Voodoo Tarot/Book and Card Set). This enticing compendium of the origins and practice of Vodou makes for a fascinating read, explaining how music, dance, and artistic expression are the heart and soul of this complicated religion. "What I discovered was a vibrant, beautiful, and ecstatic religion that was free from dogma, guilt or coercion," says Glassman, a thoughtful and articulate Jewish woman who first began studying New Orleans Vodou in 1975. A shop filed with voodoo merchandise from around the globe for the serious practitioner or the Novice explorer. Wonderful African and Brazilian masks and fetishes for sale as well as Voodoo Saints and Catholic Saint statues, rosaries, t-shirts, incense and voodoo dolls and kits and books. If you are planning on visiting the tomb of Marie Laveau you may pick up a perfect offering here first-cowrie shells, candles or that special something that calls you to her. 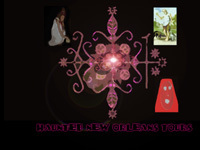 You will want to look at the wonderful displays about voodoo—free of charge and view the working altars. What is a Veve'? 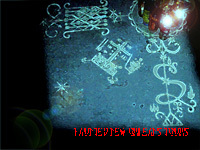 A Veve or Vévé is a religious symbol for a voodoo "loa" (or lwa) and serves as their representation during rituals. Several veve's of different Loa may be drawn for one ceremony. The designs incorporate well-recognized traditional elements, but reflect also the individual intentions and creative skill of the Houngan or Mambo. In the United States, there is strong prejudice against folk spirituality, which is freely demeaned with pejorative labels such as "magic" or "superstition". The versions of Voodoo which survivied in the Southeastern USA, were connected with Christian mysticism in the minds of rural African Americans. 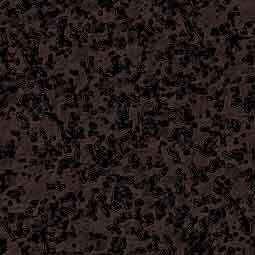 Segregation minimized the number of bi-lingual African Americans (those who spoke basilect and fluent acrolect), and at the same time minimized the number of Whites who could translate basilect well enough to discover Voodoo in the spoken, sung, or written words of middle class, working class or working-poor African Americans. 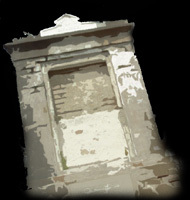 In isolated African American communities, such as the Georgia Sea Islands or in the Mississippi Delta, Voodoo lore could be freely referenced and practices, at least the more subtle ones, were more public. In fact many popular songs of the Delta Blues tradition (circa 1900 to 1941) referenced voodoo explicitly. Robert Johnson sang of "hot foot powder sprinkled all round my door" and Muddy Water(s) referenced "the gypsy woman", "seventh son", and the "mojo hand". Today there are African Americans in integrated Christian congregtions who can recall their parent or Gran pointing out the feared Jack o' Lantern off in the nighttime woods, and they will insist that's just what they'd seen. Scholars debate the variations of Voodoo, how they have survived, how much they have changed, and to what extent Christianity in general or Catholicism in particular were used as covers to enable the survival of Voodoo. A common saying is that Haiti is 80% Roman Catholic, 20% Protestant, and 100% Vodou. Thus the Catholic contribution to Haitian Vodou is quite noticeable. However, in the United States the story may be a little different, depending upon which scholarship you read. Some scholars believe confusion about Voodoo in the USA arises because there's widespread system of African American folk belief and practice known as Hudu or more popularly as hoodoo. The similarity of the words hoodoo and Voodoo notwithstanding, hoodoo may have tenouos connections to organized religion like Vudou, but hoodoo may be an integral part of the Vodoun religion in West Africa and arguably throughout all of Africa. Some aspects of hoodoo may be derived primarily from Congo and Angolan practices of Central Africa, and may retain elements of the traditions and practices that arose among Bantu language speakers. However, there are serious practitioners who have travelled and studied Hudu in West Africa, who conclude that this ancient, magio-botanical practice is indigenous and essential to the majority of native West African religious systems, having only minute variations. Today, due to the suppression of the Voodoo and Hoodoo traditions and Vodoun religion in the United States, most hoodooists are now members of African American Protestant churches, such as the various Baptist, African Methodist Episcopal (AME), Pentecostal, and Holiness denominations , but when hoodoo is compared to some of the African religions in the diaspora, the closest parallel is Cuban Palo, a survival of Congo religious beliefs melded with some Catholic forms of worship. Survivals of Haitian and West African-influenced Vodou religion in the southern US are claimed by some to be found within the African-American Spiritual Churches of New Orleans, a city with a large Catholic population. This is a false assumption. The Spiritual Churches of New Orleans are a Christian sect founded by Wisconsin-born Mother Leafy Anderson in the early 20th century. These churches incorporate Catholic iconography, ecstatic worship derived from African American Protestant Pentecostal sources, and a large dose of Spiritualism, but a closer examination shows that the hallmark of the New Orleans Spiritual Churches is the honoring of the Native American spirit named Black Hawk, who lived in Illinois and Wisconsin (Anderson's home state), not in Africa, or Haiti. Furthermore, the names of some individual churches in the denomination—such as Divine Israel—bring to mind typical Black Baptist church names more than Catholic ones.